This time of year often brings dry skin and dry lips! 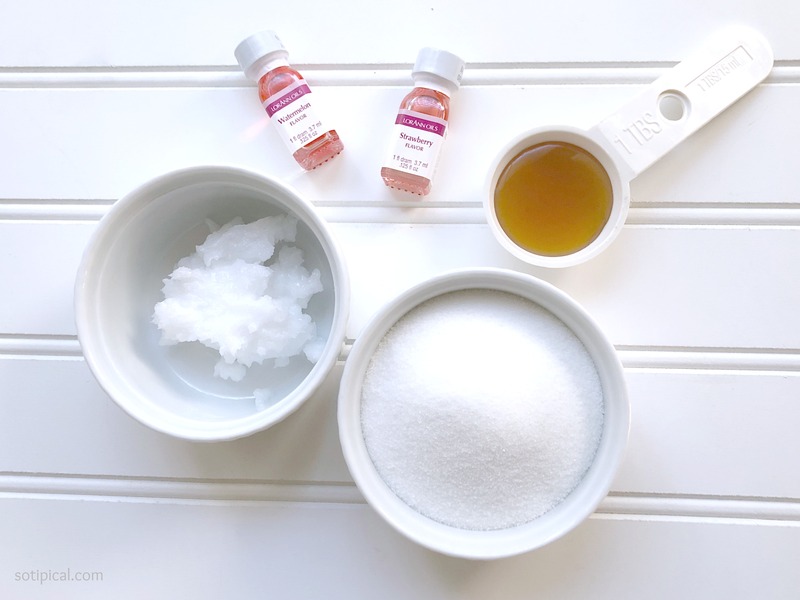 This Sugar Lip Scrub is an easy recipe that you can make at home for a fraction of the price you would pay at the mall! 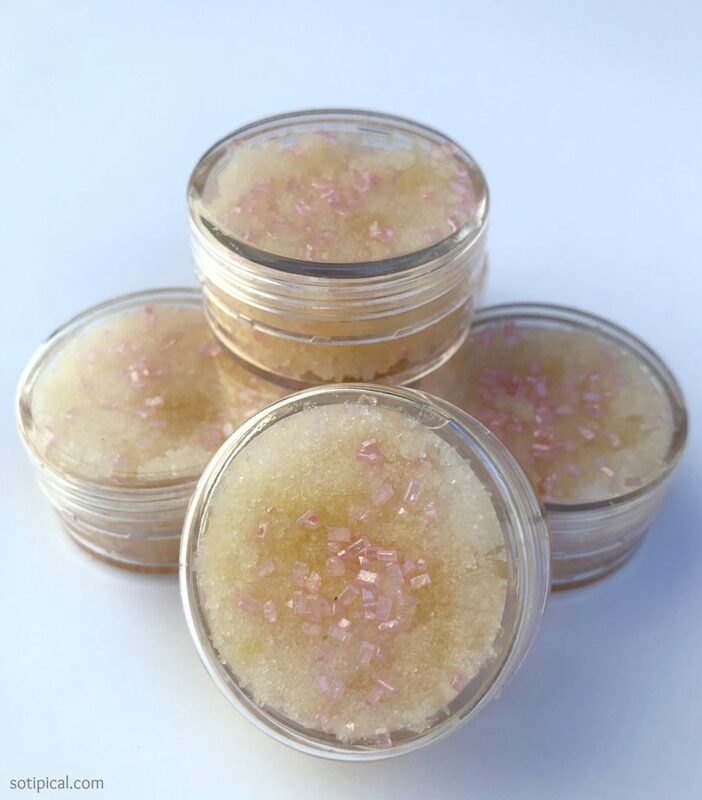 It will exfoliate dead skin and leave your lips feeling soft and smooth! We’re making a big batch this week so my girls can give some to their friends for Valentine’s Day. Also great for a spa themed birthday party, party favors, stocking stuffers, hostess gifts or just because you want to pamper yourself! Disclosure: This post may contain affiliate links. Any funds earned through affiliate links aid in the operating costs associated with running this site. 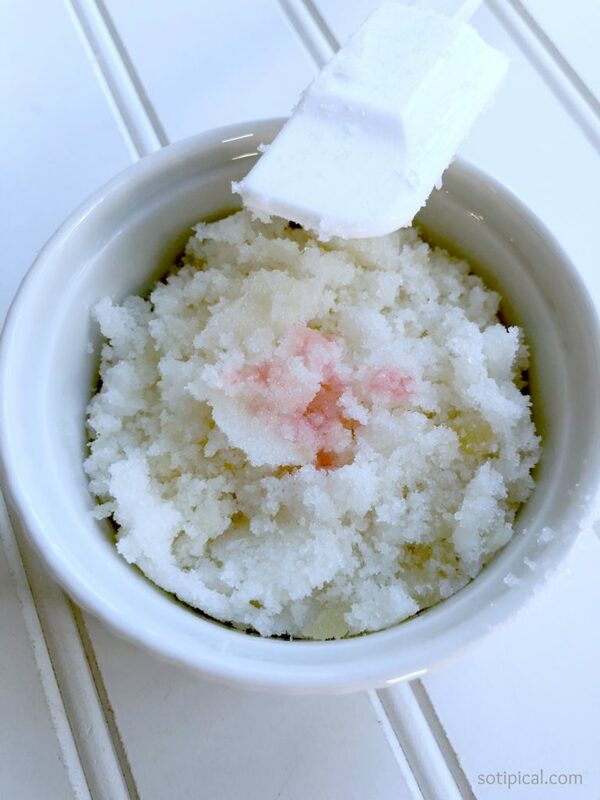 Begin by mixing the sugar and the coconut oil. Using a spatula or fork, blend together until well distributed. Next add the honey and continue to blend. 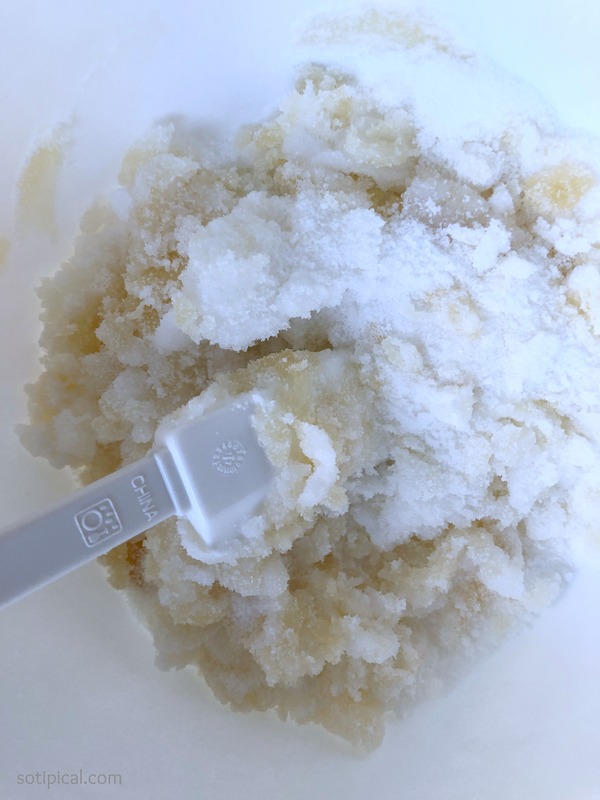 I wanted to make two different flavors, so I evenly divided the lip scrub in two separate bowls. I added about 12-15 drops of edible flavoring oil per bowl. 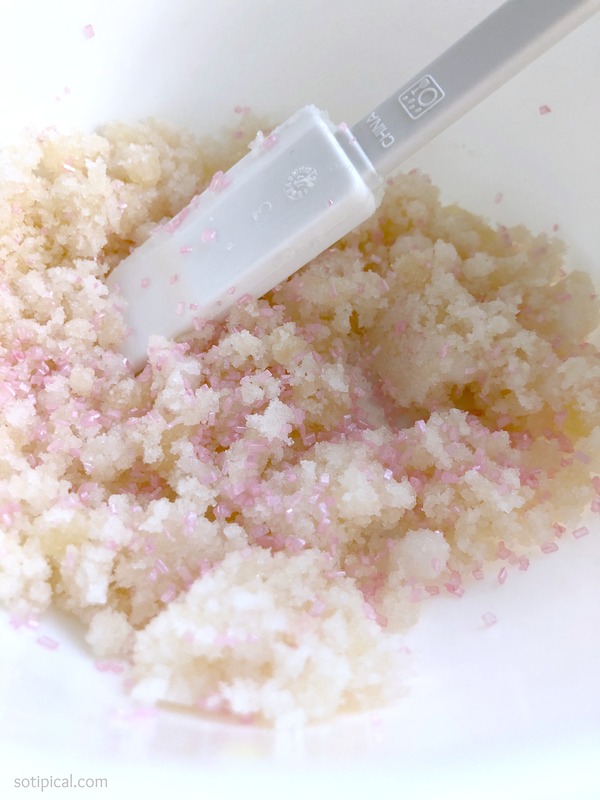 Continue to mix the lip scrub until distributed evenly. Since both flavors yielded a similar color, I added pink sugar crystals to one of the bowls so I could tell them apart. If I had another color, I would have added it to the other bowl. I think it just looked prettier in the jars with the colored sugar. 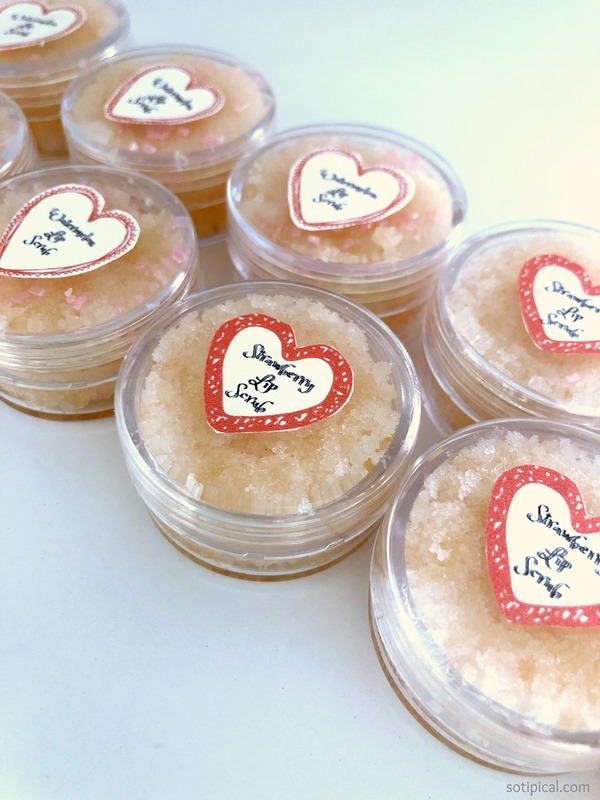 The honey does add a golden hue to the lip scrub, so keep that in mind when planning out colors. Some people add a drop of food coloring, but you need to be careful since the color may transfer to your lips and stain them. See how pretty the colored sugar looks?! I really like these small jars. (They are the same ones I used when I made Kool Aid Lip Balm.) 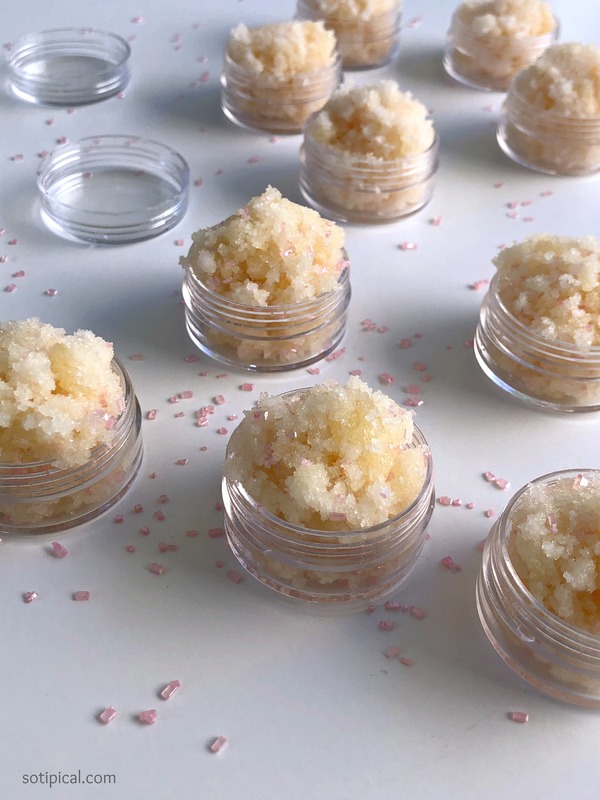 With this recipe, I was able to fill 10 of them with the lip scrub. I created some small labels to attach to the jars, then I glued them on top. You can also use stickers or adhesive labels. I didn’t have either, so these worked fine. Now wasn’t that simple? After seeing my daughter pay $10 for a tiny jar of lip scrub, I knew we could make it at home for a lot less! I also like knowing exactly what ingredients are being used. Now I wouldn’t recommend eating the lip scrub, but everything I used is 100% edible! Enjoy! Click Image Below to Pin this Recipe!